If you have a plumbing problem, Plumbers Killiney are waiting to help you. We promise a 60 minute call out response time for our Killiney Plumbers. We don’t just cover emergencies we offer a full range of services. Having been established for many years now we have some experts with over 30 years experience in the private and commercial plumbing industry. All of our work at Plumbers Killiney comes with a 1 year parts and labor warranty. We are fully insured with public and professional indemnity insurance, friendly, reliable, always polite and courteous but more important we are 100% focused on providing the best quality plumbing services to our clients. All of our completed work comes with our “plumber Killiney” warranty. This means if there is a problem within the 1 year warranty with the parts or work completed we will sort it out free of charge. We offer a complete service with extremely competitive pricing. We do not charge for call outs and supply free professional no obligation quotes. We pride ourselves on our customer service. We do not have hidden fees or charges, we do not charge traveling time or parking fees. Our vans are always fully stocked so as there is never a need to be “sourcing parts”. If you live in the Killiney area and need a someone urgently to help you, please call us on 01-6874850. 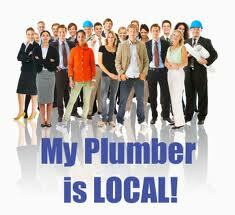 Plumbers Killiney would be delighted to offer you any assistance you may require.